Woo Hoo! 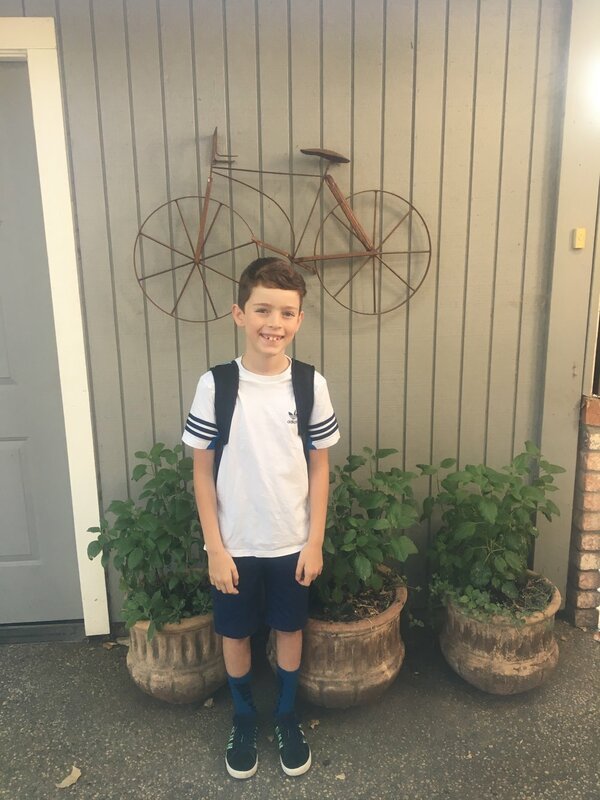 Yesterday was the first day of school. Eight weeks of Summer is up. Pedar and I were more than ready to kick them out the door and stop their brains from atrophying any more. I am so ready for my house to be empty for a few hours a day. Maybe it will stay a little cleaner?? I know the computer, phones and game system will be given a much-needed rest. We went to a "Welcome back to school" event at Mission on Tuesday. Erik met with his fourth-grade teacher and saw his classroom. 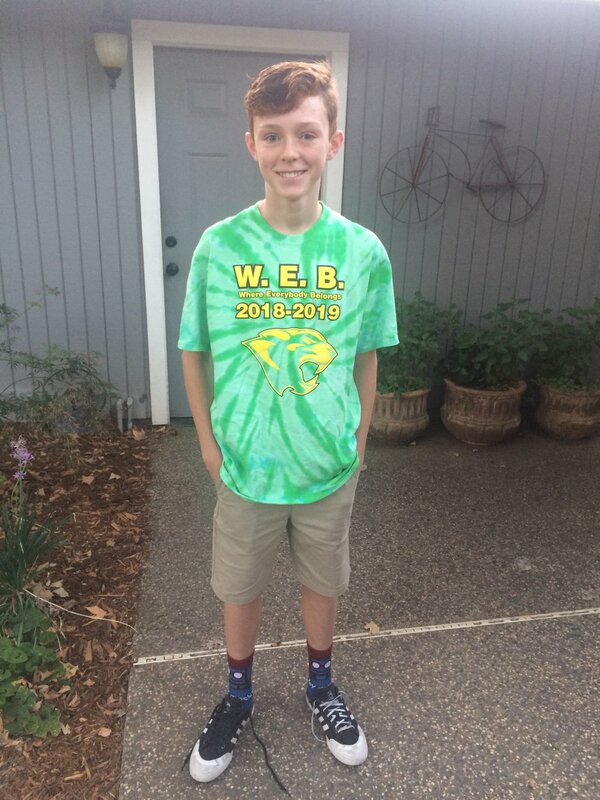 Casey had Where Everybody Belongs (WEB) leadership training last week at Arden, so he was SO ready for 8th grade. He is very excited to be a part of the WEB group. He said yesterday he looked for lost and frustrated kids that couldn't open their locker and he helped them. WEB is a great program. Erik set out his clothes the night before. He kept coming into our room from 10 p.m on. When he came into our room at 11:30 p.m. and told me he couldn't sleep, I was ready to sleep in my car. He turned on his light and read till about 1 a.m. I think. 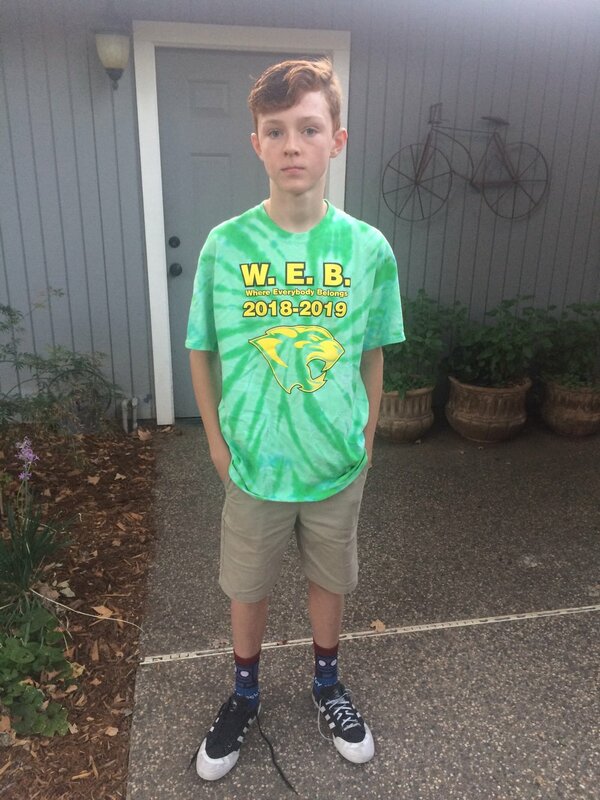 Casey had to be at school by 6:45 a.m. so he was ready to welcome the sixth and seventh graders with his WEB group. He was ready to go and excited for school! The boys are so excited about their teachers. I have a REALLY good feeling about this year. It might have to do with having a nice Summer. No one had pneumonia or bronchitis. Everyone stayed well and only complained of being bored. It was a FANTASTIC regular summer. Thank you baby Jesus.